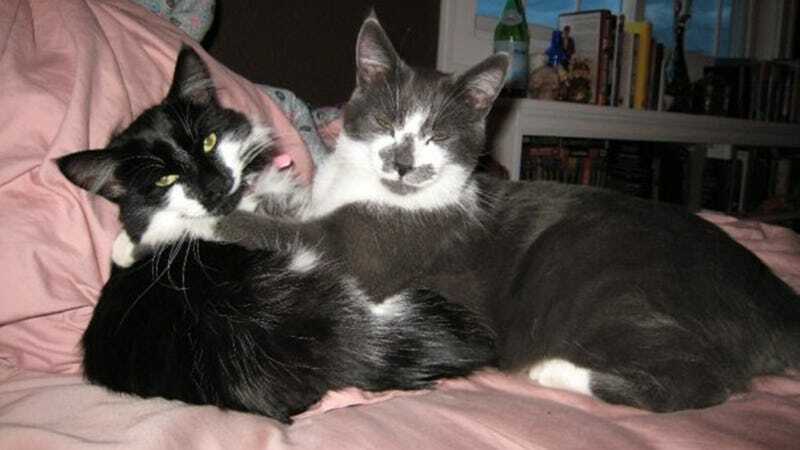 I love TGIF and wanted to share pics of my cats Kiki (the medium hair black/white cat) and Archie Goodwin (the short hair grey/white cat)! They are brother and sister, and they love cuddling. Archie likes it a little more than Kiki, you can probably tell from the pics. Archie loves attention and getting his picture taken (Kiki not so much. She is always frowning. But we love her anyway). Images via email. Feel free to post your pet pix below!